This is how I typically run TH upgrades, although the booster packs are definitely kicking things up a notch. Through TH9, I nearly always put up 10-14 days of shields and boost collectors to generate some extra resources for upgrades. I usually have my lab upgrading as well, although I chose to work a bit on my Archer Queen (AQ) this time around since the Black Friday sale offered up 125K of DE. I'm really liking the booster pack we can now buy at the start of a new TH level. Getting the AQ, a level 2 x-bow (fully built), and gold, all on top of the standard 1200 gems...well, that's just a great buy. The amount of time and resource saved is well worth it, especially for someone with multiple games. The next couple of weeks will focus on getting the AQ to level 5, walls to level 6, and new structures to TH7/TH8 max level equivalent. I'll put up my version of the Crows base and use the holiday one-gem-boost to move things along the first couple of months. 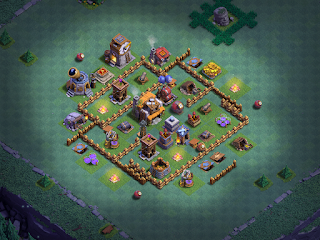 TH9 is a great building opportunity for CoC. It's the first time in the game that the base isn't easily walked over (well...once you get a few things upgraded) and when troops become strong enough to allow some neat attack strategies. I will probably hang out here for the winter months, upgrading key troops and defensive structures, before making the jump to TH10 where I focus my efforts on heroes. On my other games...the TH6 games are all maxed now, walls and all. I have one last TH7 game that needs walls and a few troop upgrades finished. My TH8 defenseless and TH8 mini-max are ready to make the jump to TH9, nut I'll probably spend another couple of months at TH8 with them and instead focus my time on the Clash Maniac game. The TH11 is now all TH9 defense with most troops maxed; I'm working on baby dragon upgrades right now, with Barbarian King (BK) and AQ headed to level 13 while the Grand Warden (GW) is working his way to level 10. My main game is well along in TH10 with lots of upgrades underway. I've decided to max my defenses, most troops, take heroes to level 30, and walls to all Lego before pulling the TH11 upgrade pin. Most of the defenses are already as far along as my existing TH11, many further, so I know it would perform well but I like taking things a little slower on my main. With so much building going on, not to mention a busy life, clan wars are backburnered for the moment. I easily get my full-attacks fix from regular multiplayer with so many higher level games now, and I really want to focus my time on more productive activities that raise resources rather than eat them. (Clan wars just consume resources.). I'm hoping SuperCell (SC) gives us some new ways to gather resources besides raiding (similar to other games) and it looks like they have some interesting things in store for us in the coming months, so I'm staying in building mode for a bit. So...there's your update on my strategically rushed games. If you would like to visit the clan and view the games, just search up clan tag #P8CGRG0C. And, of course, any comments or questions feel free to drop a line!